Crunchy tortillas and cumin-flavored dressing give this southwestern-style salad its delicious flavor! With few ingredients and just 5 minutes to make – it’s a winner every time! 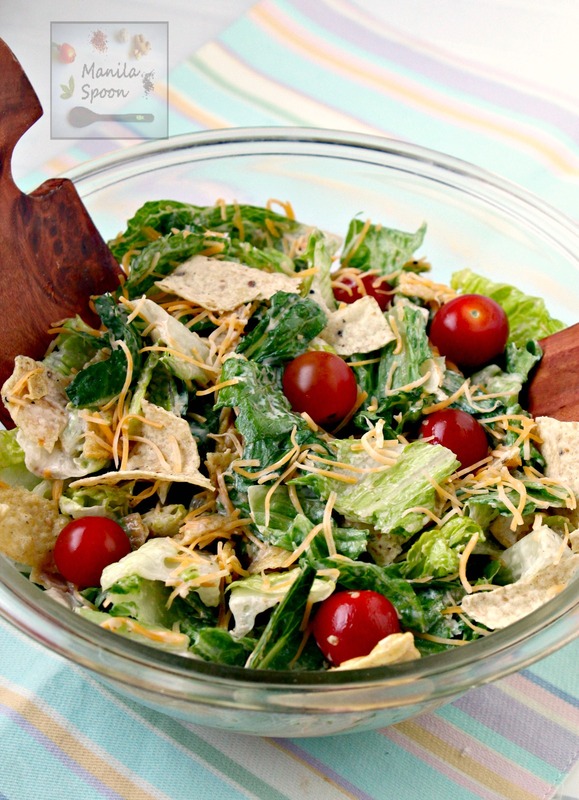 My kids have been really feasting on this salad for the last couple of days!! I am so glad I finally found a salad that they truly love and there’s no argument to be had when this delicious dish is offered. I call that a big win! 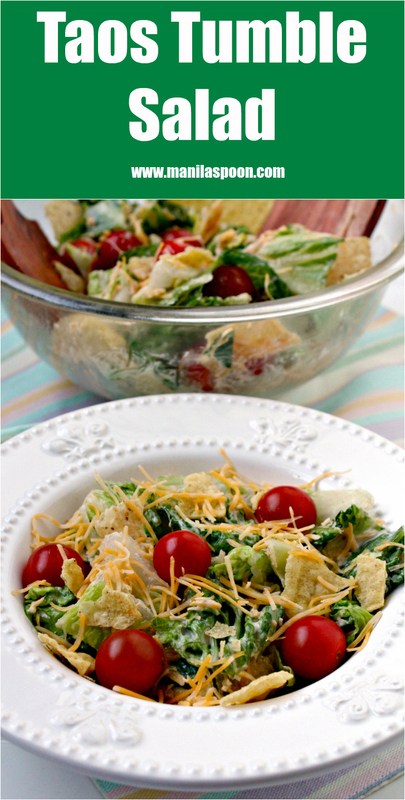 Admittedly, my kids were attracted to this salad mainly because of the tortillas but, hey, because of that they don’t mind eating the greens and tomatoes too (although the latter has always been a huge favorite of theirs). So, if you get some good quality tortillas, I’d say it’s not at all that bad. 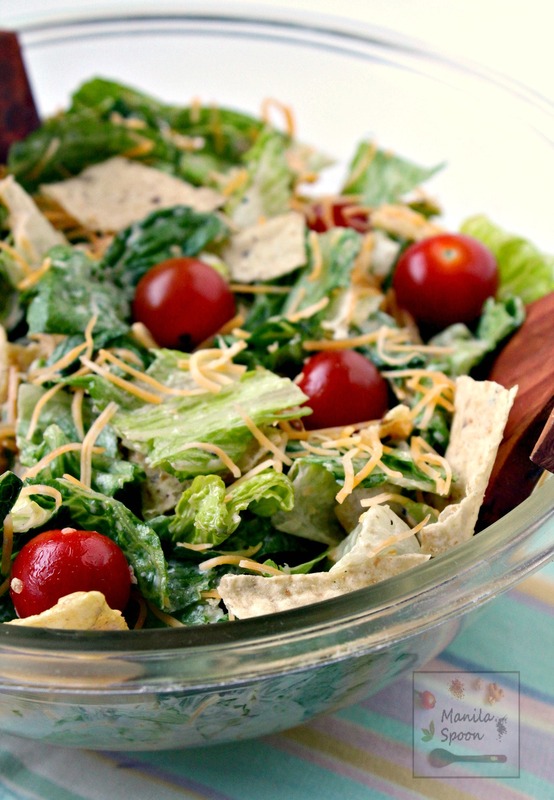 For me and hubby, it’s the flavor and the crunch that really made us fans of this easy salad. And you can’t go wrong with 5 minutes prep, too! While this salad version has fully diverted away from the original version of a Taos Salad (yes it’s really Taos and not Tacos so I didn’t make any typo error!) , that one having avocados, beans and perhaps even some chilis, etc), I’d say it’s a delicious twist to it. And it’s such a breeze to prepare which makes it perfect for a party! Truly, your taste buds would also love the cumin-flavored dressing! this salad has everything I love. I am really in to salads that have a lot of crunch to them at the moment.